Tupelo Children's Mansion Huge Offering from Mississippi Ladies Conference for TCM! Huge Offering from Mississippi Ladies Conference for TCM! BY STEPHEN JUDD My wife, Erma, is at the Mississippi Ladies Conference, and just reported to me that Nancy Grandquist was speaking at the Mississippi today and stated that she felt impressed to received an offering for Tupelo Children's Mansion. God moved in a special way and a sacrificial offering was received in the amount of $22,625.00! This is one of the largest offerings ever received in a single service for TCM, anywhere! 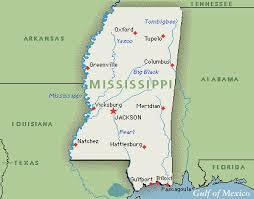 We are overwhelmed with gratitude by this strong backing from our home state, Mississippi! We appreciate Bishop David Tipton, our District Superintendent, and Linda Dobbs, MS Ladies Ministries President, for their wholehearted support of the Mansion...as well as all of our district leaders and pastors. And a big "thank you" goes out to Nancy Grandquist for being such a strong advocate for the work of the Mansion, and for making a passionate appeal for this gargantuan offering.